Below is today’s column in USA Today (to run in paper form on Wednesday) on President Barack Obama’s claim to the right to kill citizens as dangers to the nation. Ironically, the day after I wrote the Los Angeles Times column on Obama’s disastrous impact on the civil liberties movement in the United States (including his assertion of the right to kill citizens on his own authority), the U.S. killed two citizens in Yemen. Notably, Ron Paul (who has emerged as the only candidate discussing these issues from a civil libertarian perspective) suggested an impeachment inquiry based on the killing of the two citizens. Below is the column in USA Today. Last week, Americans saw a curious sight for a free nation: their president ordered the killing of two U.S. citizens without a trial or even a formal charge and the public applauded. President Obama never denied that he told the military to kill Anwar al-Awlaki on his sole discretion a year ago. They did so last week in Yemen – and killed U.S.-born cleric Samir Khan for good measure. Two U.S. citizens killed because a president unilaterally declared them to be part of a terrorist organization. Before the killing, Obama successfully fought efforts by al-Awlaki’s family to have a court review the legality for the planned assassination of their kin. Due to reported prior associations of the U.S. government with al-Awlaki, it was a hearing that the intelligence agencies likely did not want to occur. At the time, the Justice Department argued that if al-Awlaki wanted judicial review, he should file with the clerk’s office himself – despite an order for him to be shot on sight. The Obama administration succeeded in arguing that the planned killing of a citizen on this hit list was a “political question,” not a legal question. While few people mourn the passing of a figure like al-Awlaki who was accused being a leader in al Qaeda, they should mourn the passing of basic constitutional protections afforded to all citizens. So a president can now kill a citizen without publicly naming him as a target, stating the basis for his killing, or even acknowledge his killing once it has been carried out. Even if one assumes citizens would only be killed outside the country, it would mean that a your life becomes dispensable the minute you step a foot over one of our borders. At the same time, the government has expanded the definition of terrorism and material support for terrorism, which in turn further expands the scope of possible targets. When confronted on the lack of knowledge of who is on this list and the basis for their killing, the Obama administration simply says that citizens must trust their president. It is the very definition of authoritarian power – and Americans appear to have developed a taste for it. 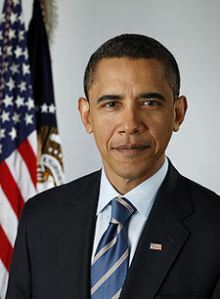 Obama’s hit list is a continuation of a policy defended by George W. Bush, who ordered an attack that killed U.S. citizen, Kamal Derwish, in Yemen in 2002. While Bush wanted Yemeni Abu Ali al-Harithi (the alleged mastermind behind the 2000 bombing of the U.S. Cole) dead, Derwish was riding in the car with him (as well as four other individuals). Derwish was not even on a hit list, but U.S. intelligence officials said it did not matter because they were authorized to kill Americans in such operations. The sight of free people applauding the president’s discretionary killing of citizens would have horrified the framers of our Constitution. In conflict with a system based on checks and balances, Obama controls not just who will die but whether a court can review his decisions. Even if the family of these men were to try to sue for wrongful death, the Obama administration insists that they have the discretion to block such cases under the “military and state secrets privilege.” Thus, even if a president arbitrarily were to order the killing of a citizen, neither the victim nor his family could challenge the matter before an independent court (assuming they even knew about the order). Notably, in the face of this extrajudicial killing of two citizens, Democrats who claim to be civil libertarians like Dianne Feinstein have cheered the president – creating a record for the next president to expand on these acquiesced powers. Pingback: Legal Loophole: White House Reserves Right to Homeland Drone Strikes, Indefinite Detention | ACGR's "News with Attitude"
Technorati is a search engine exclusively used for blogs where it features the latest updates happening in the blogosphere. It serves as a different world for online users who thirst for more detailed news and facts. It was principally drafted by David Barron and Martin Lederman, who were both lawyers in the Office of Legal Counsel at the time, and was signed by Mr. Barron. the Justice Department concluded that Mr. Awlaki was covered by the authorization to use military force against Al Qaeda that Congress enacted shortly after the terrorist attacks of Sept. 11, 2001 — meaning that he was a lawful target in the armed conflict unless some other legal prohibition trumped that authority. It then considered possible obstacles and rejected each in turn. Among them was an executive order that bans assassinations. That order, the lawyers found, blocked unlawful killings of political leaders outside of war, but not the killing of a lawful target in an armed conflict. The memo concluded that what was reasonable, and the process that was due, was different for Mr. Awlaki than for an ordinary criminal. It cited court cases allowing American citizens who had joined an enemy’s forces to be detained or prosecuted in a military court just like noncitizen enemies. That is indeed a serious problem many ‘per diem’ and “contract” workers encounter. It’s morally wrong but legal (lawyers finding loop-holes). The problem, as I see it, is, once again, money. Corporations and even small businesses through their networking professional groups are able to contribute money to law makers and then demand quid pro quo by influencing the laws written to favor their pocketbooks. My son-in-law experienced this problem. He finally incorporated himself and drew up a contract that factored in his cost for healthcare etc. He’s a computer guy … don’t ask me what kind because I don’t understand the systems he maintains. This is of course for regular workers who face the problems you face, the value of a union … they collectively contribute money to law makers and thus attempt to influence laws written and the contracts they negotiate for their members have the force of law. Should lawmakers be addressing these problems, especially at the state level … yeah, right … only if you pay them. Bastards. That’s a great story … it was probably Oberlin! There are many tactics being emplyed by the corporate and business overlords. I have run into, for years, only being given ‘per diem’ work, and then worked to death…if I allowed it. It is just an end run around the labor laws and giving healthcare…having to pay overtime etc. Where has Washington been to allow this behavior for so long????? I remember reading about a college town somewhere in the northeast that decided to enlarge their tax coffers and pump up the census by making all the local college students citizens of the town. The students, who outnumbered the local residents, had a referendum that authorized the building of a new city hall. It was to be one inch square and one mile high. There was also something about a giant monument to the college mascot on the town square as well. At the very next city council meeting they revoked the new mandatory citizenship ordinance for college students. Texas- OU I am wearing burnt orange today. Headed out, Blouise. If you read the article….and I am sure you did….Texas is not alone…It includes a lot of Midwestern State….that have disfranchised much more than Texas…. I found out about the “honoring” the validity of concealed weapons permits for a different reason….This keeps them from being classified as criminals in this state…FWIW, you don’t need a permit if you are going to or from work…. If someone is suggesting that a person that had a valid out of state hand gun permit with out a valid Texas ID can be turned away from voting, this is true….THEY are not Resident that are entitled to Vote… The Sct has stated that the state can restrict voters so long as it does not infringe on the Federal laws….Hence the state makes the rules…and if someone is Legally registered to vote in San Saba, Texas why should they be able to vote in Travis County Elections….Seems to be a legitimate state interest in halting some voter fraud…. It all happens at the state level and that’s where we have to concentrate our efforts. I suspect one of the republican’s worst nightmares is a bunch of college kids empowered by Occupy Wall Street rallies turning out to vote in states across the country. If I were a republican I’d want to suppress that vote too. Great work Swarthmore in detailing the attempts to turn voters away in Texas.